Canneloni : good price vs quality. 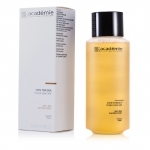 I use regularly Academie lotions, different ones. This is one of my favorites though not sure age marks it has reduced but it does not dry out skin which is important. Cleans well still.